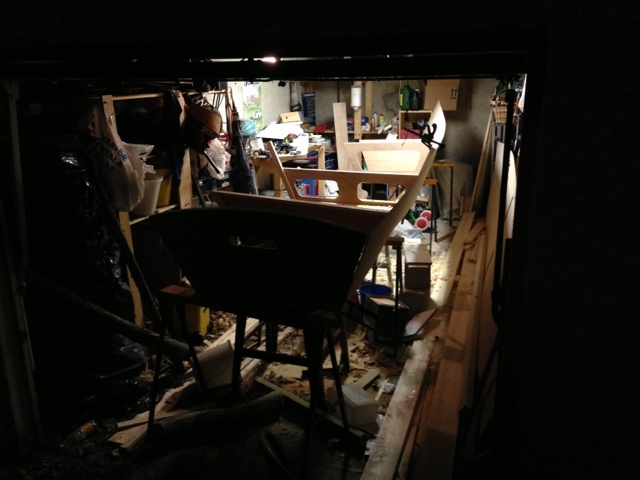 Goat island skiff in Gothenburg: More progress! Beveled the last bulkheads and propped one of the sides sheats up on the bulkheads. I assume everyone does it. Lots of work for nothing more than the possibility to see ones progress. It's big!